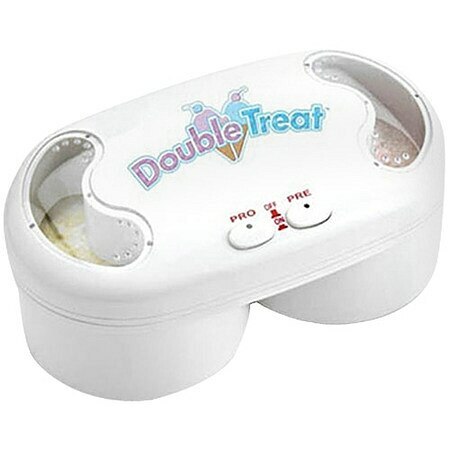 Lentek Double Treat Ice Cream Maker1.0 ea. Finally a convenient way to make delicious homemade ice cream! The Lentek Double Treat ice cream maker lets you make two different recipes at the same time. Just add your favorite ingredients and place into your freezer. A thermal sensor will activate the unit to mix the ingredients for you automatically and your ice cream will be ready to enjoy in 70-90 minutes.